I just posted about this on the local Subaru group, and I think it's something that I should post here as well. The concept of this post came from something that happens to me every day, but I'll have to tell you a specific story so you'll have some background. It's an older Subaru base-model 4-door with a WRX engine swap. It's an awesome car that really showcases the Subaru spirit. Huntsville Flat 4 is a local Subaru enthusiast group that has also been around since the early days of HCS (at one point they were known as NASA--North Alabama Subaru Association). I've known many of the guys in the group for better part of a decade now. And it wasn't until this week that the Huntsville Flat 4 found out about Tim, and vice versa. Why? Because the Huntsville Flat 4 didn't take advantage of the synergy created by HCS. Let me explain. Huntsville Car Scene has the largest reach of any enthusiast web site in North Alabama. More people visit HCS every month than any other local site. (In late 2005/early 2006 HCS had more people visiting than all the other local sites combined.) 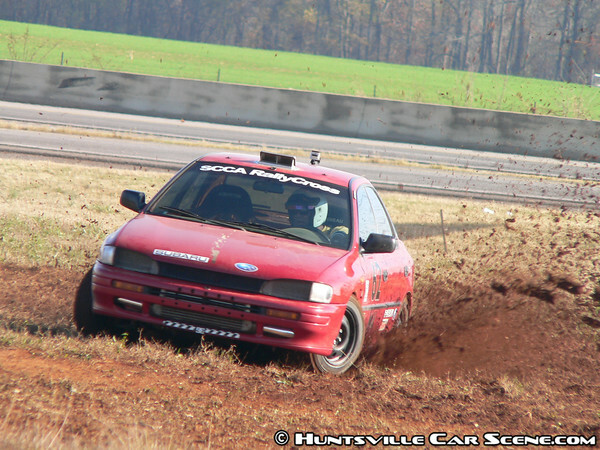 And since HCS draws all types of enthusiasts, chances are there's going to be some Subaru enthusiasts on HCS that the Huntsville Flat 4 hasn't reached. So how does the Huntsville Flat 4 (or any other group) take advantage of this synergy? Simple. Just post your events on the calendar that's viewed by thousands. Participate in the event discussions attached to your events on the calendar. Participate in the general discussions in the forum. And that's it. I try to make sure I've got current links to all the local groups and links to their discussion forums. If your groups has a presence on HCS, people will remember you when they have a friend or a co-worker that could be interested in your group. Just like how I knew Tim might be interested in the Huntsville Flat 4, and vice versa. If I can finish all the HCS the development projects before the start of the 2011 season, I plan to make a presentation on this to every group in the area that will let me. I want 2011 to be the biggest year ever for our local scene! I'm glad you feel the same way Joe! I'm not sure if you've talked with Lisa yet from RCMC or Jeff from Rocket City Camaro Club, but we're talking about getting all the leaders of the scene together to make 2011 the year of synergy for the scene. I'm going to be talking with the VW club tomorrow as well as the Vets with Vettes on Wednesday about a meeting towards the end of the month. The purpose of the meeting is to introduce each of the different organizations to everyone else and to tell everyone else what your organization is doing. A 'show and tell' if you will. You game? The next meeting is set for June 24th, so keep that date open. I'm going to try to get in touch with every single group by then.